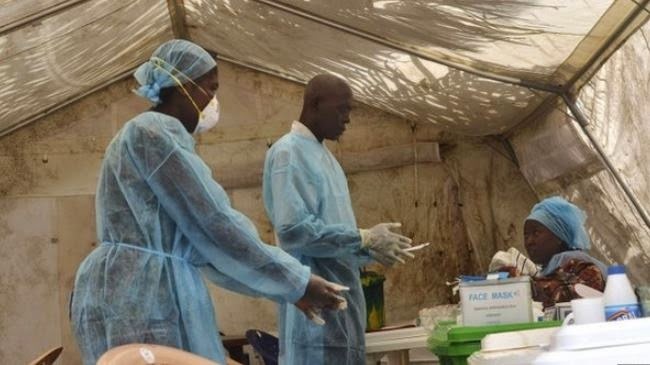 The Federal Government said on Wednesday, that a nurse who was one of the medical personnel that attended to the late Liberian-American, Patrick Sawyer, who died of Ebola virus in Lagos on July 25, has died of the disease. Minister of Health, Prof. Onyebuchi Chukwu, who stated this at a news conference in Abuja, also confirmed that five other medical practitioners who participated in the treatment are already infected with the virus. He said, "Nigeria has now recorded seven confirmed cases of Ebola Virus Disease. "The first one was the index case, which is the imported case from Liberia of which the victim is now late. "Yesterday, 5th August, 2014, the first known Nigerian to die of the EVD was recorded and this was one of the nurses that attended to the Liberian. "The other five cases are currently being treated at the Isolation Ward in Lagos." The Minister noted that all the Nigerians diagnosed were primary contacts of the index case. He announced the appointment of Prof. O. Onajole, of the Lagos University Teaching Hospital, who will be based in Lagos, as the Director, Communication and Community Mobilisation for the EVD. He also pledged to visit Lagos within the week, in company with his colleague in the ministry of information, to assess the situation on ground.